In an article on the 3rd of October, the newspaper Politiken writes about an upcoming exhibition in the Barbican Art Gallery in London. 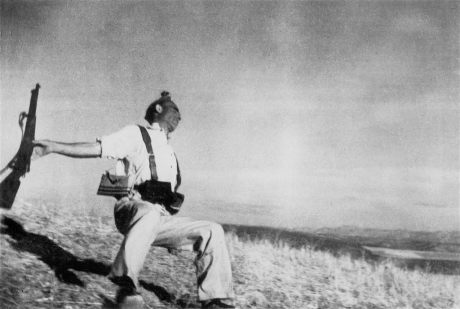 The exhibition is supposed to shed new light on the old discussion about Robert Capas famous photo the fallen soldier: is it a fake or not? Read moreDownfall of a picture?